Many people email me for advice and support. This past week was quite the international experience for me. In addition to emails from the US, I also received emails from Syria, South Africa and Ecuador! Let me share a few with you. The A-Fib Patient in a War Zone: Someone in a war-torn country was trying to find medical help for his A-Fib. A doctor started him on a heavy dose of amiodarone for his A-Fib. I told him about the toxic effects of amiodarone, but recognized that he was lucky to find any kind of medical help in a war zone. I couldn’t find any EPs still practicing in his country, but did find two centers in an adjacent country not at war. But I don’t know if he will be able to travel there. Please think positive thoughts/pray for him. Our A-Fib Support Volunteers were so supportive and helpful that she decided to become a volunteer, too. A-Fib Support Volunteers in Action: Another woman described an all too common frustration with her primary care doctors and cardiologists who didn’t take her A-Fib symptoms seriously. They wouldn’t even refer her for a cardioversion. She was helped a lot by getting in touch with five of our great A-Fib Support Volunteers who had widely different experiences. 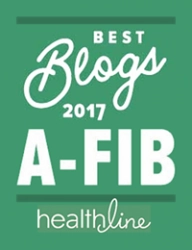 They were so supportive and helpful that she decided to become an A-Fib Support Volunteer herself. Amiodarone Advice: Another patient wrote that his cardiologist put him on a heavy dose of amiodarone when he first started having A-Fib episodes. I recommended the patient get a second opinion, that amiodarone is a very toxic med usually only prescribed as a last resort or for short periods of time like during the blanking period after a catheter ablation. September is A-Fib Awareness Month: As you see, there are many, many A-Fib patients out there seeking help and answers for their particular situation. 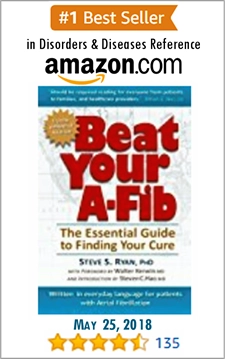 A-Fib is not a one-size-all kind of disease. 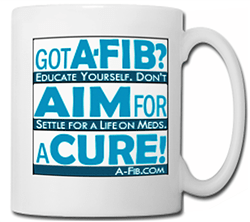 But A-Fib can be Cured! 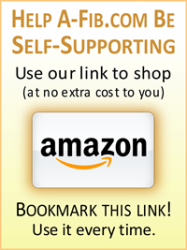 You don’t have to live a life on meds! 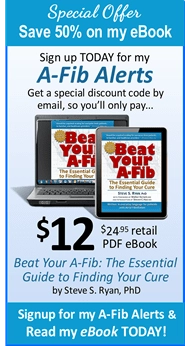 Won’t you pass on our message to others with A-Fib and their families and friends? 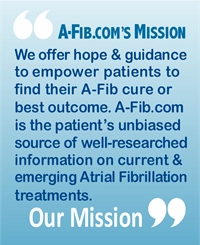 Send them a link to our special FREE report: The Top 10 Questions Families Ask About Atrial Fibrillation.